The 7th Cavalry Trail System is located on the Fort Meade Recreation Area and is readily accessible from four different access points on the eastern edges of Sturgis and just off I-90. The trail system is undergoing re-development as of early 2016 as part of a partnership between the Bureau of Land Management (BLM) and Black Hills area non-profit Black Hills Trails. The trail system is enjoyable today, and the changes, to include proper signage and maps is scheduled to be largely completed within the 2016 calendar year. To access the 7th Cavalry Trail System, a visitor can use the designated trailheads on BLM at the Alkali Creek Campground or Alkali Creek Horse Camp, or just east of Fort Meade the Fort Meade Trailhead. There is also trailhead access available at Lions Club Park in Sturgis, or on Old Stone Road near the Believers Fellowship church, just northeast of I-90 exit 30 on the southern end of town. The trail system on the Fort Meade Recreation Area provides access to the pre-eminent and best known trail in the Black Hills, which is also part of the 7th Cavalry Trail System. 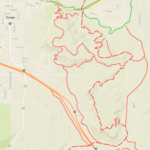 This trail, known as the Centennial Trail or Trail #89 extends for more than 100 miles from Bear Butte northeast of Sturgis and runs south connecting some of the most loved recreation opportunities in the Black Hills. The Centennial Trail connects or passes near to Dalton Lake, Nemo, Pactola Reservoir, Mount Rushmore, and Custer State Park to name just a few. 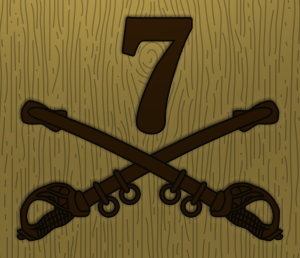 How would you rate the 7th Cavalry Trail System in Sturgis? Hiked a loop around the Ft. Meade recreation area, partially on the 7th Cavalry trail and the rest on the Centennial trail. I started at Alkali Creek trail head and racked up close to 10 miles. Still a lot of trail left to explore.